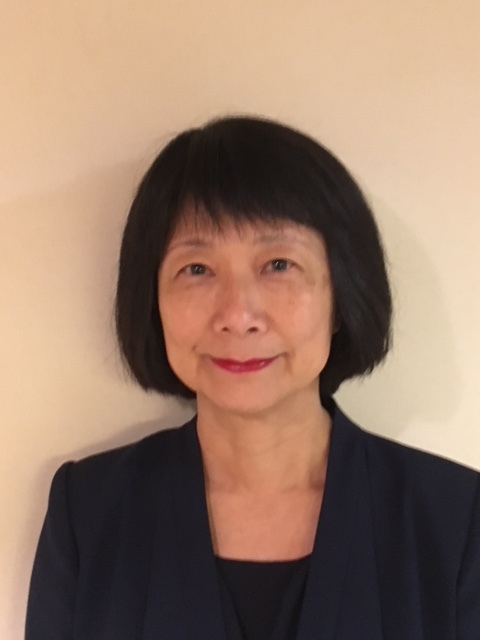 Dr. Té Vuong, MD, B.Sc. Dr. Vuong received her M.D. from the Université de Montréal and continued her postgraduate training in radiation oncology at the University of Toronto and the Institut Gustave Roussy and Institut Curie in Paris, France. She is a Professor at McGill University in the Department of Oncology, where she also holds the position of Assistant Chair, Radiation Oncology. She was appointed Director, Radiation Oncology of the Segal Cancer Centre at the Jewish General Hospital in August 2009. Dr. Vuong conducts cutting-edge research in the area of colorectal cancer. She has engaged in numerous studies throughout her career, as either the Principal Investigator or a co-participant. Her efforts have led to the development of new radiation technologies and clinical protocols for the treatment of gastrointestinal cancer. Siddiqui MRS, Chand M, Hunter C, Bhoday J, Garant A, Vuong T, Artho G, Tekkis P, Al-Mutaz A, Brown G. Correlation between MRI detected extra-mural vascular invasion (mrEMVI) in rectal cancer and metastatic disease: a meta-analysis (the “Work”). (Submitted to Annals of Surgery, 2016). Felfoul O, Mohammadi M, Taherkhani S, de Lanauze D, Xu YZ, Loghin D, Essa S, Jancik S, Houle D, Lafleur M, Gaboury L, Tabrizian M, Kaou N, Atkin M, Vuong T, Batist G, Beauchemin N, Radzioch D, Martel S. Magneto-aerotactic bacteria deliver drug-containing nanoliposomes to tumour hypoxic regions. Nature Nanotechnology 2016; doi:10.1038/nnano.2016.137. McGill Newsroom Media Relations Office: Mcgill researchers contribute to six of 10 discoveries of year picked by Quebec Science. Nout RA, Devic S, Niazi T, Wyse J, Boutros M, Pelsser V, Vuong T. CT-based adaptive high-dose-rate endorectal brachytherapy in the preoperative treatment of locally advanced rectal cancer: Technical and practical aspects. Brachytherapy. 2016 Jul-Aug; 15(4);477-84. Doi: 10.1016/j.brachy.2016.03.004. Epub 2016 Apr 16. Di Valentin T, Asmis T, Asselah J, Aubin F, Aucoin N, Berry S, Biagi J, Booth C, Burkes R, Coburn N, Colwell B, Cripps C, Dawson L, Dorreen M, Frechette D, Goel R, Gray S, Hammad N, Jonker D, Kavan P, Maroun J, Nanji S, Roberge D, Samson B, Seal M, Shabana W, Simunovic M, Snow S, Tehfe M, Thirlwell M, Tsvetkova E, Vickers M, Vuong T, Goodwin R. Eastern Canadian Colorectal Cancer Consensus Conference 2013: Emerging therapies in the treatment of pancreatic, rectal and colorectal cancers. Montreal, October 17-19 2013. Current Oncology. 2016 Feb;23(1):52-5.